drivingandlife: A Super Car Gathering! Last weekend I attended an exclusive party in Sydney for aficionados of great cars and luxury lifestyle accoutrements. 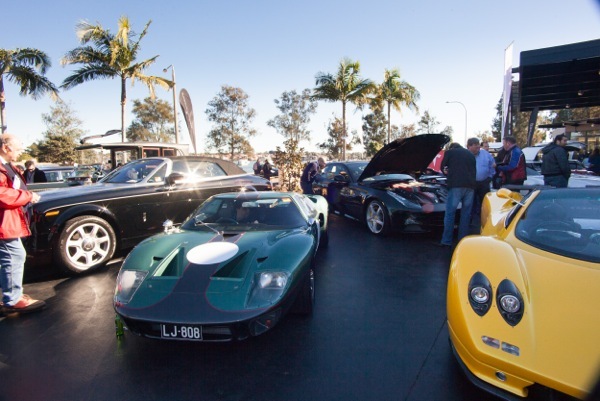 It was called the Supercar Gathering, and it was organized by Sam Movisio, the Chairman of the Australian Concours d’Elegance. 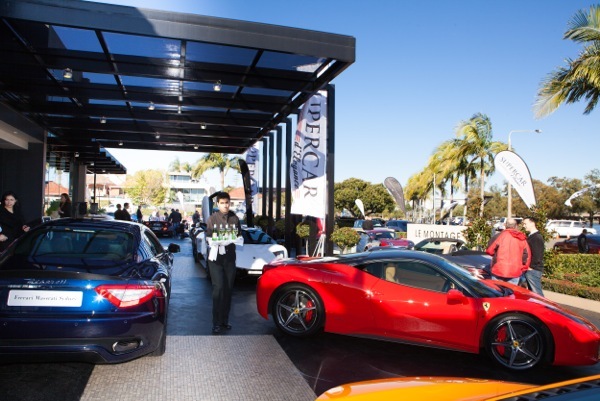 The 'invitation-only' affair, with just 250 guests was on a much smaller scale than the inaugural Australian Concours, known as 10.10.10, held at Manly two years ago. That was a much grander affair with many more cars, and many thousands more people, so the party at Le Montage at Lilyfield was relatively intimate, and a very pleasant way to spend a sunny Sunday morning. 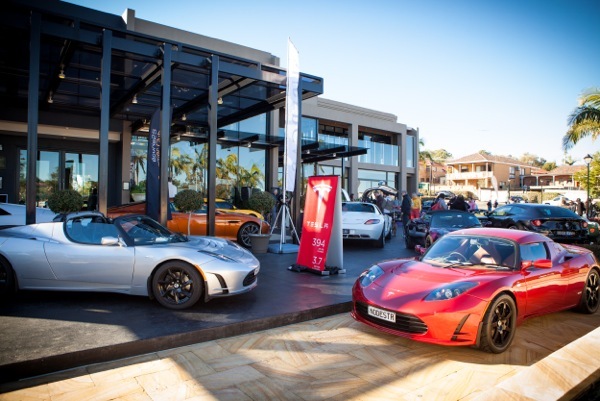 The Gathering was well-supported by the high-end car distributors and private owners of exotic cars, and along with some fine food from Le Montage and fine wines from Mount Pleasant and Tatinger Champagne it was great to just stroll around, talk to owners and experts alike. Very low key, and the mutual enjoyment of all the participants was easy to see. After the success of Sunday's event, Sam Movisio is planning another Supercar Gathering in a few months, and he's already contemplating another Australian Concours, maybe next year. 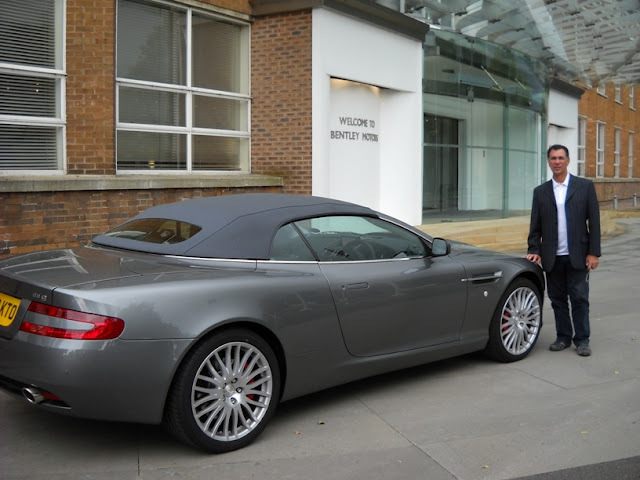 He is a dedicated enthusiast, and lover of great cars, and he is also well-connected with auto industry CEOs, and the people who stage some of the world’s best concours events in Monterey, California. That means his next events will continue to retain a true international flavour. Sam’s standing in the automobile community in Sydney ensured there were good things to look at, like a new Ferrari FF, Australia’s first Ferrari 458 Italia Spyder, Tesla Electric sports cars, two McLaren MP4 12C, a brand new KTM, several Lotuses, a sensational group of Mercedes AMGs and a new Bentley Continental GT. There was also an Aston Martin Virage, quite a few Lamborghinis and among some special cars from private owners there was a replica Ford GT, and one of the best replicas of a Ferrari Barchetta Superleggera by Touring of Milan I have ever seen. I might easily have mistaken it for the real thing, and although it is not original the beautiful workmanship was all done here in Australia and is a credit to the professionals responsible. 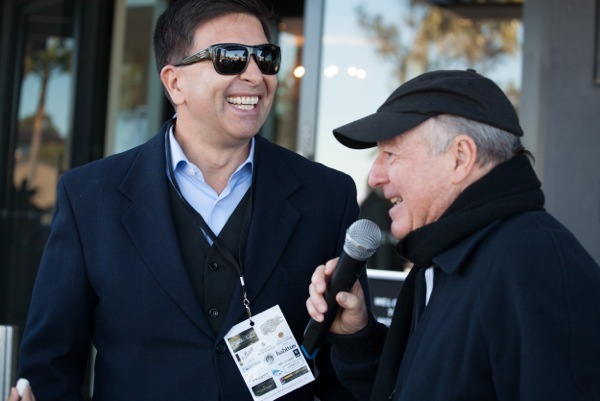 I found myself talking with wonderful personalities like comedian and actor Vince Sorrenti, sipping Tatinger, kicking the tyres on some fabulous machines, and in general just indulging my love of cars, along with everyone else who attended. There was a great vibe at the event, which Sam and his team seem to effortlessly generate with their enthusiasm, passion and friendliness. When’s the next one? Two thumbs up to that car.